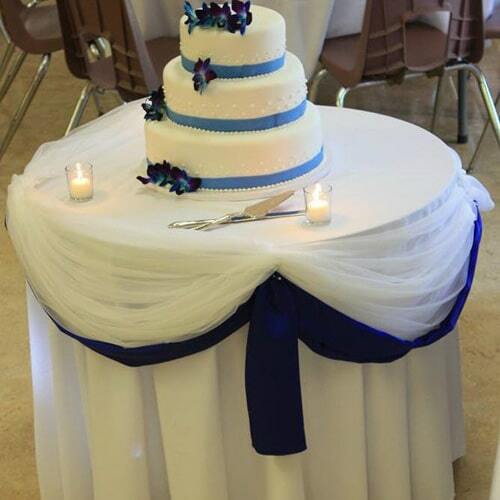 We can customise your cake table to your wedding or event theme – or if there is a style you would like us to replicate then let us know. Sterling Silver Taffeta Sash for hire. Use this Silver taffeta sash alongside our stretch chair covers or any of the range.